End shield for US 44's western end in Kerhonkson, NY, with the bonus of an error "NY 209" shield (it should be a US shield). Photo by Mike Roberson, taken June 28, 2006. 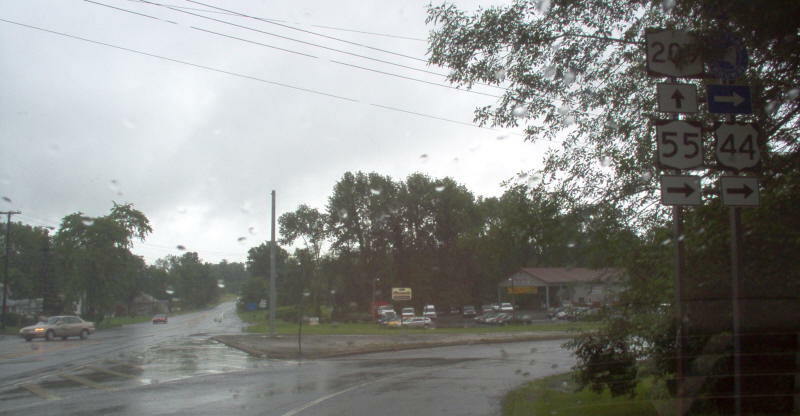 Rainy view looking along northbound US 209. 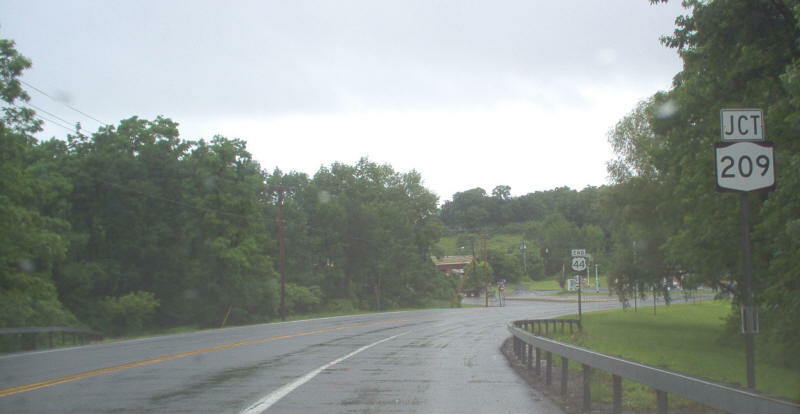 As with the junction signage on US 44, there is an error "NY 209" shield here as well. Photo by Mike Roberson, taken June 28, 2006. 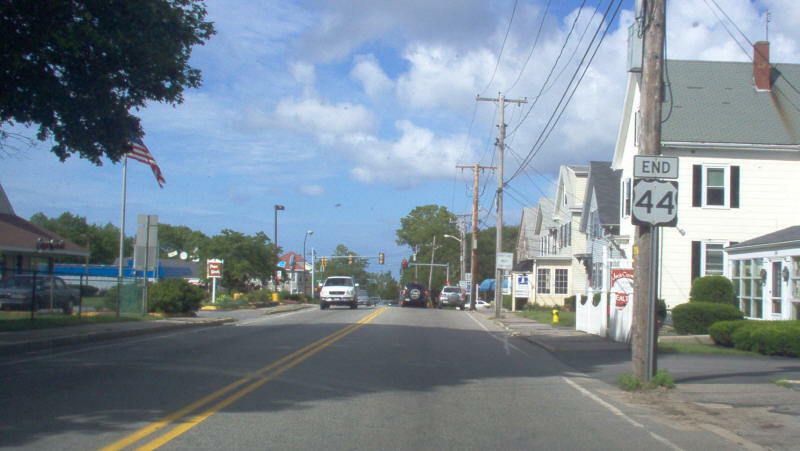 End shield for US 44 in Plymouth, MA. Although US 44 now follows a new freeway west of MA 3, it still ends at MA 3A within Plymouth. Photo by Mike Roberson, taken June 26, 2006. 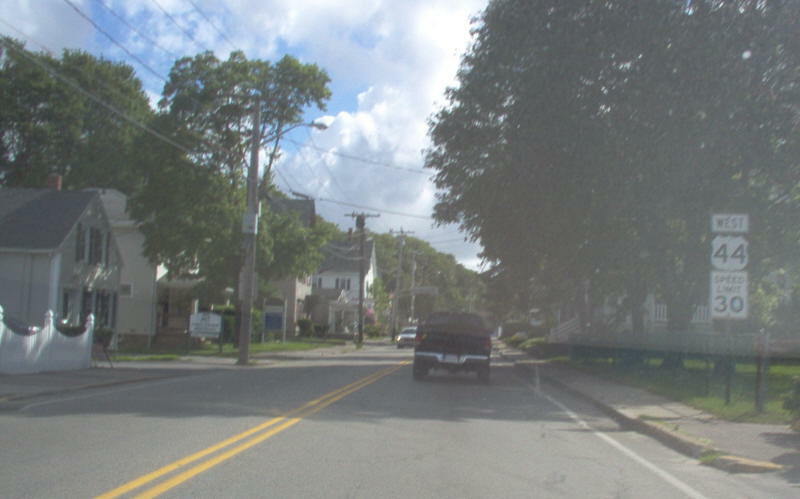 First westbound reassurance shield west of MA 3A. Photo by Mike Roberson, taken June 26, 2006.